Only 25 kilometers separate us from a small city with an atmosphere of the Mediterranean south and the continental north. 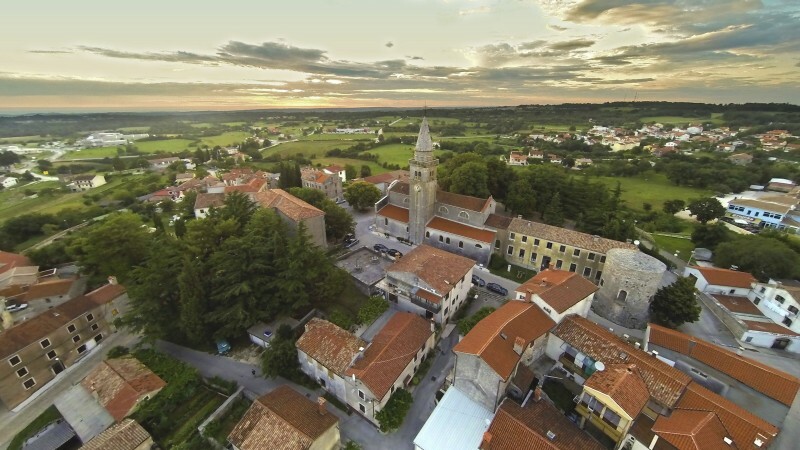 It is located in the central part of Istria, on a hill 400 m above sea level. It is surrounded by low hills and valleys, and its seaward location has endowed it with a pleasant climate. A visit to the Chapel of the Holy Three (Kapela Sv. Trojice), housing wall paintings by local masters from the 15th century, or a visit to the Church of St. Michael (Crkva Sv. Mihovila), the largest parish church in Žminj, will be a special experience to any chance traveler.